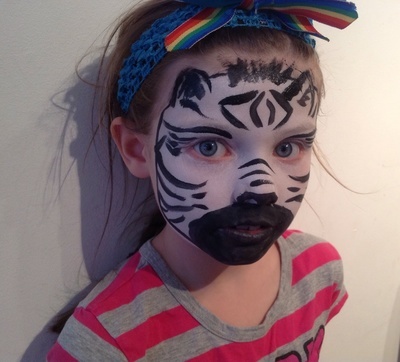 I regularly volunteer to do face painting at school fairs or other family fun days. I get a lot of the usual requests: butterflies, fairies, spiderman, tigers etc. but occasionally I get a request that's not in my book which initially flummoxes me. 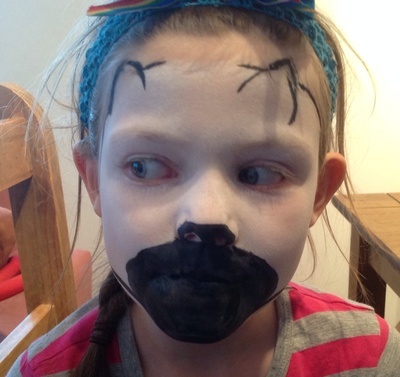 This then lead to frantic searching on the internet to try to find a picture of the animal and work out how to face paint it. 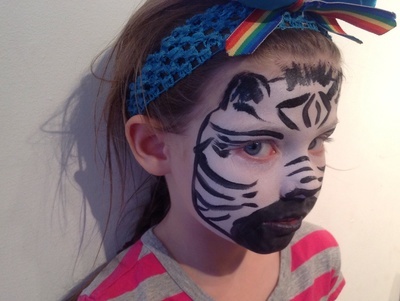 Last weekend, I was asked for a zebra, so I thought I'd share a step-by-step here. 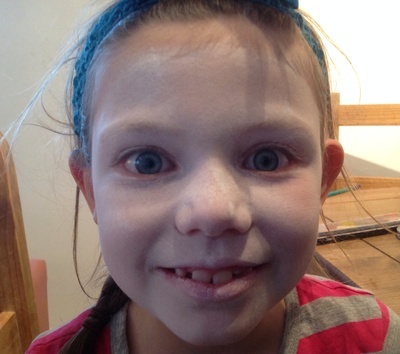 Dampen your sponge and load it up with white face paint. 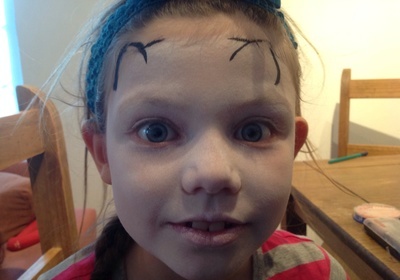 Cover the whole face in white, leaving a small gap at the top of the forehead. 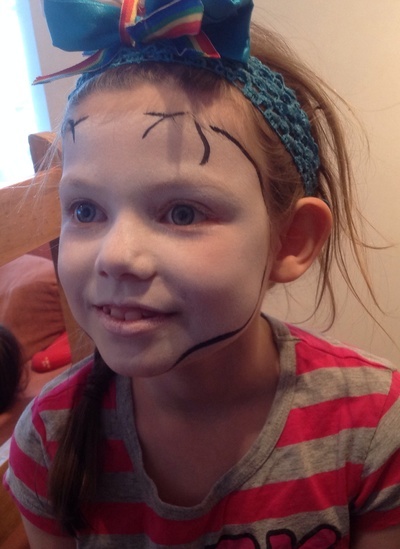 Using a brush loaded with black face paint, create the outline of the ears on each side of the face. Outline the contours of the face, along the edge of the white, again in black. 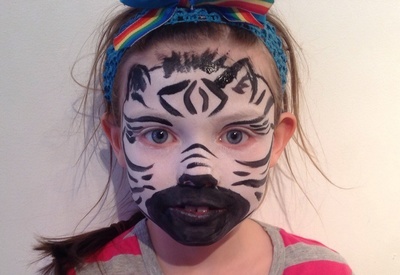 Create a muzzle in black by outlining around the nose and then filling it in. 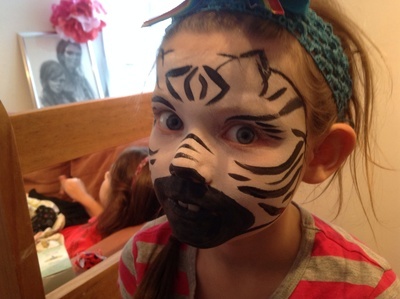 Add the zebra's stripes: irregular patterns on the cheeks and chin. 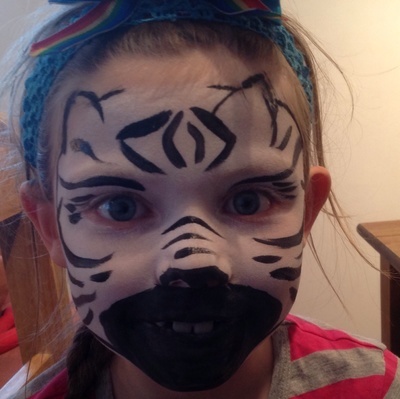 Fill in the ears, and add tufts of black in between them for the zebra's mane. Who do you want to win Strictly Come Dancing?